Fishing for Salmon in Homer Alaska with the services of local fishing charters and guide services. Homer Fishing Trips, guide to salmon fishing charters in Homer Alaska. Book your adventures with the services of these fine salmon fishing charters. Homer salmon fishing charters offering full and half day fishing trips out of Homer Alaska. While Homer is well known as the Halibut Fishing Capitol of Alaska, there is another fishery available that all-to-often goes overlooked. We're speaking about the options for salmon fishing in Homer AK. Here is a partial list of Homer's fishing charters and their contact numbers. Salmon fishing Homer AK includes year-round King salmon fishing for the White Kings as they're called has been getting quite popular with Alaska residents. Homer's winter king salmon charters have enjoyed some great weather the past few winters and this might be part of the increased interest in this fishery. Contact the above charters for more information on Homers winter king fishing. 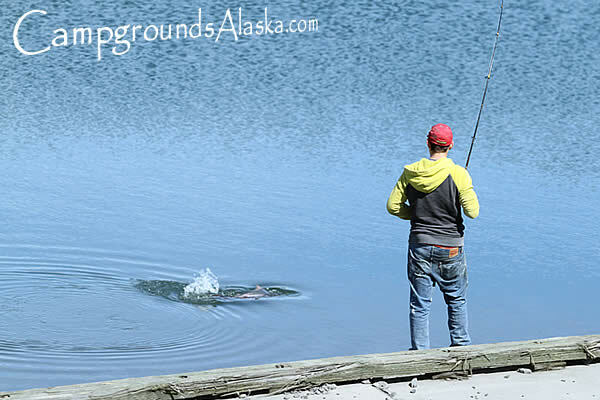 In Homer Alaska, the salmon fishing often gets lost in all of the other activities offered locally. 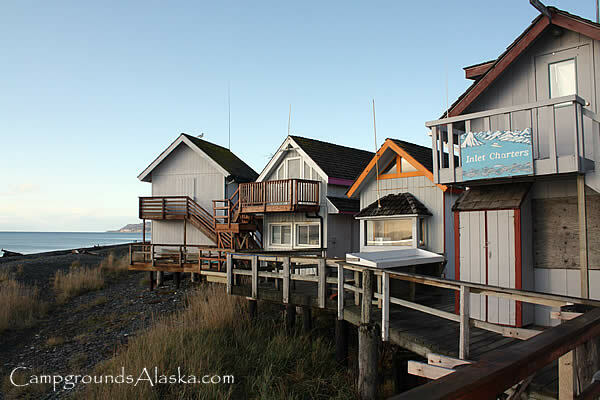 This guide to fishing for salmon in Homer Alaska includes the services of these fine fishing charters. Homer fishing charters offering day trips for salmon and combo trips for salmon and halibut with the occasional ling cod caught too. Salmon fishing in the Homer fishing lagoon includes some great options for those looking to enjoy a few hours of fishing but not necessarily looking to go on a chartered fishing trip. 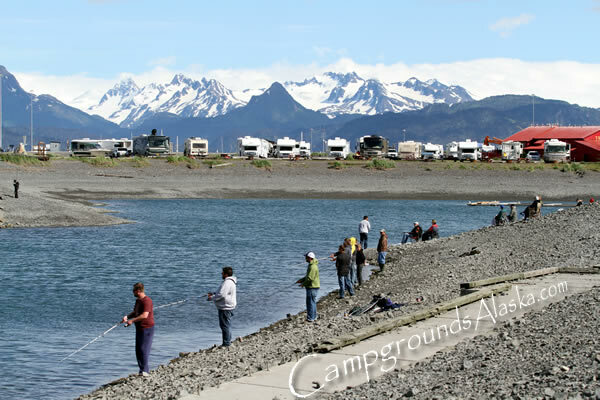 Salmon fishing at the Homer fishing lagoon is very popular with Alaska residents and the adjacent campground makes this a fun and stress free outing that the whole family can enjoy.